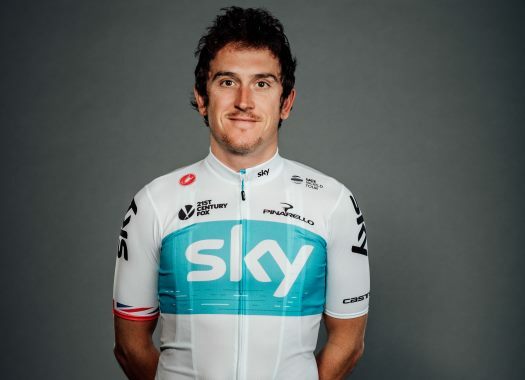 The champion of the 2018 Tour de France Geraint Thomas has extended his contract with Team Sky for another three years. The Welshman will stay at the British formation until the end of the 2012 season. The rider and the team did the announcement on the last day of the Tour of Britain. "I’m pleased it’s sorted and delighted to be staying with the team," said Thomas to TeamSky.com. "It’s been a great journey for me with Team Sky and obviously the last few months have been crazy." "It’s working really well for me here and I’m excited about what’s still to come." Thomas has been in Team Sky since 2010, though he knows the core of the organisation since the beginning of his career. "It really is one big happy family where my relationship with Team Sky is concerned, so I couldn’t be more delighted," he explained. "I feel at home with the Team. I’ve known Dave (Brailsford), Rod (Ellingworth) and Fran (Millar) for years, since I was 17, so it’s great that I’ll be continuing to work alongside those guys and the rest of the Team."